Plenty a dog has destroyed a backyard, gardens and even siding on the house. Sometimes dogs dig because they are bored and others because they enjoy finding things underground. The question is how do you get the dog to stop!? The first question is why is your dog digging. Is he hunting? Is he hot? Is he missing you? Your first line of defense is to manage the dog. Watch his every move when he’s out in the yard and redirect him (call him to you and give him something else to do instead) when you see him about to dig. Make sure he’s well exercised. Additionally, ensure that there is no reason for your dog to be digging in the yard, such as prairie dogs, groundhogs, or moles (these are super fun to hunt and dig up). My favorite option, for hunting dogs, is to encourage him TO dig! Chose a spot in the yard and build a sandbox. Use 1 x 6’s stacked on top of one another to put high sides on the box. You can also buy a pre-made sandbox made for children too. 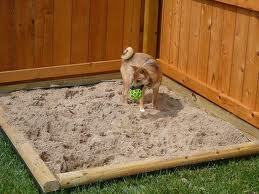 However, you’ll want the high sides to prevent sand from spreading across your yard when your dog is digging. How does your dog know he should be digging in the box? This is the fun part. Find some Chewies and stuff some KONGs. Take these fun to find items to the sandbox and bury them. Show your dog the box and let him enjoy hunting and digging up his hidden treasures! For the hot dog, build the same sandbox in a shady spot. This spot is probably where he is already digging. For more enrichment you can still hide goodies for fun. When you notice a problem behavior in your dog try to figure out what is an appropriate outlet for them. 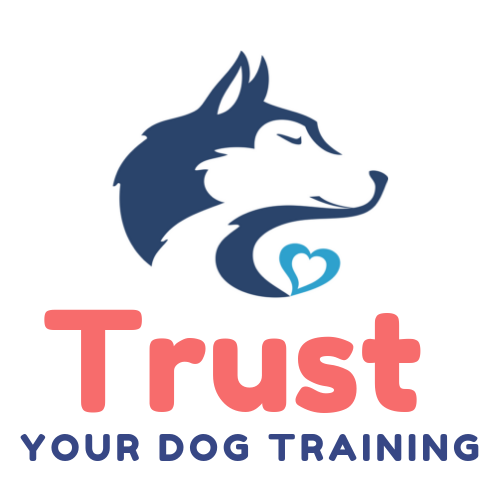 Giving your dog a place to dig and then making it super fun to dig there will give your dog enrichment he is desperately seeking. I love the idea of hiding toys in a special dig spot!! Day 23: Just Relax Already!